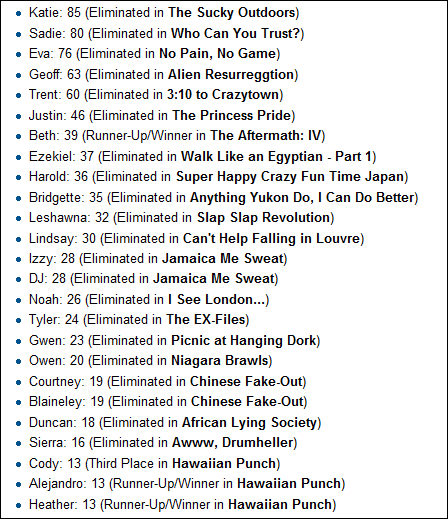 Total Drama Chart (Last time they competed). 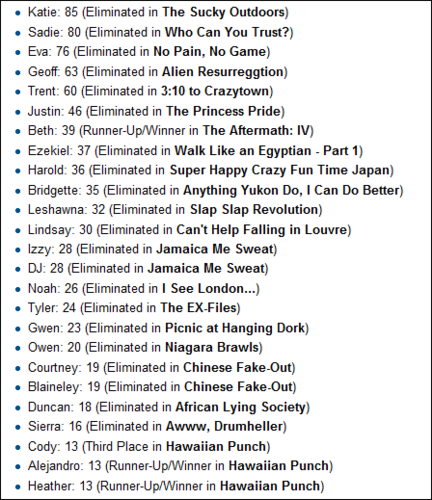 This chart shows the 最近 moment that each contestant has competed in. This takes place after TDRI since I added the time period によって 13.. Wallpaper and background images in the トータルドラマアイランド club tagged: total drama elimination chart recent contestant.